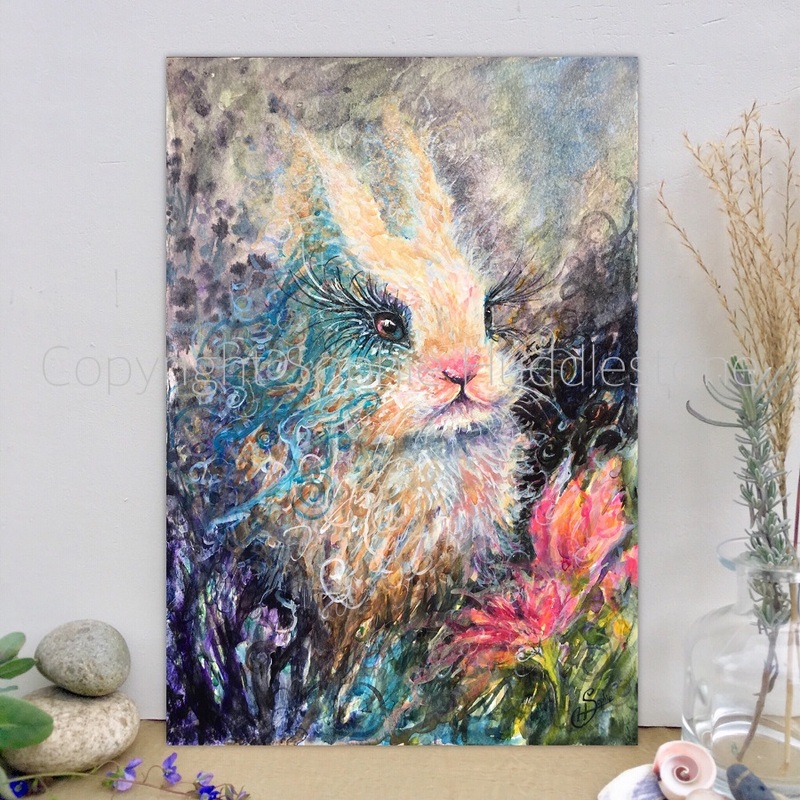 Rabbit Eventide by Sophie Huddlestone. Size 297mm high x 210mm wide and it is 1.4mm thick. (11.7″ high by 8.3″ wide and 0.1″ thick) Unframed and unmounted. Hand painted in artists watercolour paints on to top quality texture watercolour art board, cold pressed and acid free. This painting has a gloss finish which is a clear high gloss coating that provides a permanent protective shield against abrasion and moisture, resistant to yellowing on exposure to sunlight. Includes a small certificate card, signed, with purchase details, which proves the authenticity of this purchase direct from me, the Artist. The copyright wording is not painted across the actual artwork, it is edited onto the display photograph. Full copyright remains with the artist, Sophie Huddlestone. Posted flat in layers of cardboard. Will require a signature on arrival.